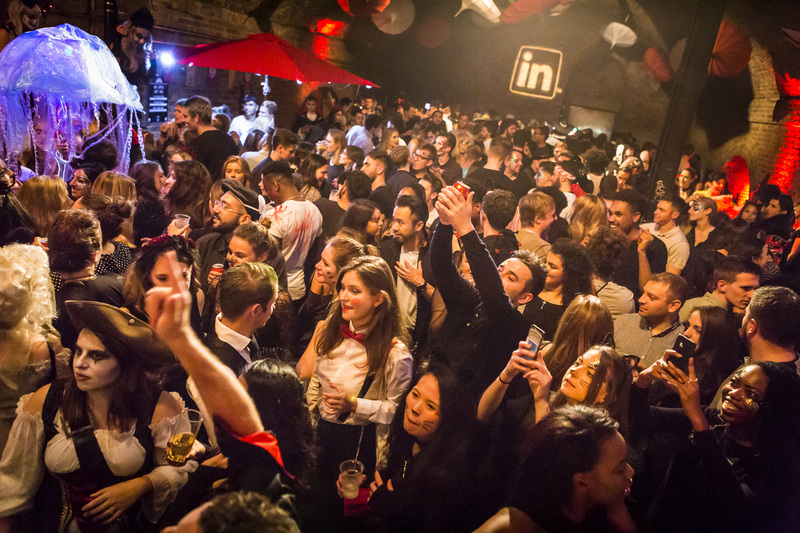 LinkedIn throw an annual party as an opportunity to engage their important agency clients. It’s an opportunity for the team to meet their agency partners in a fun, sociable environment, and thank them for the work delivered throughout the year. 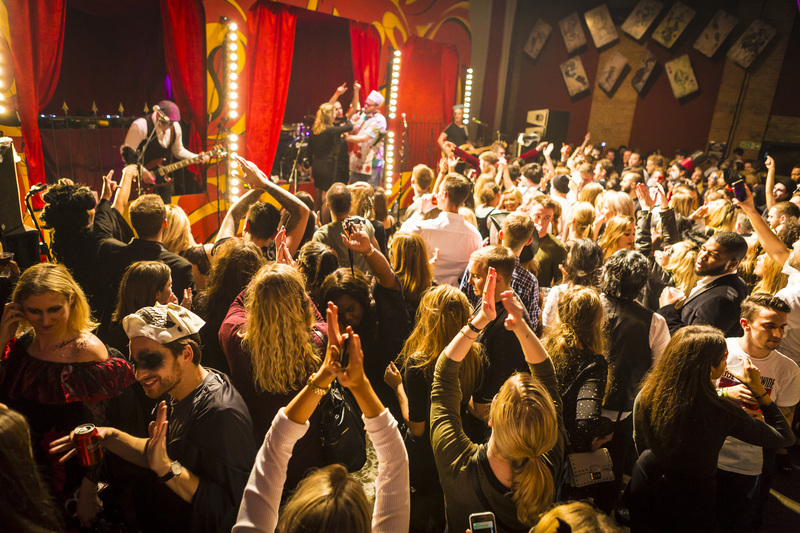 This year they came to Clive as they wanted to transform the event into the Halloween party to be at. We made that happen. 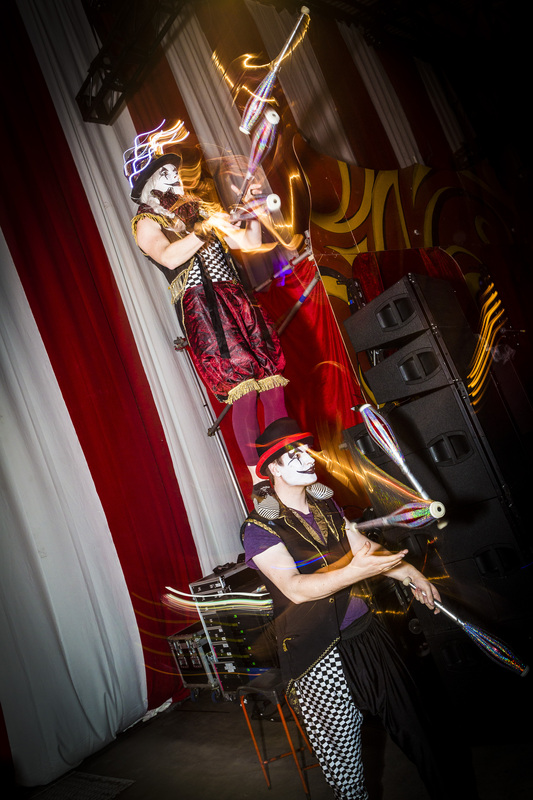 The theme was to be Victorian gothic with a touch of the circus, so we needed to create a decadent environment that was both visually striking and mysterious – bordering on creepy (obviously). We had to strike the perfect balance, ensuring a highly-stylised experience! What better venue to do this than Village Underground in Shoreditch. The cavernous ceilings and arched brickwork were asking to be transformed into an elegant crypt-like space. We transformed the main stage into a faux circus tent with deep red and yellow colours against a huge floor to ceiling curtain of the classic red and white circus colours, providing the illusion of being in the “big top”. With the perfect venue in place, it was down to Clive to decorate! 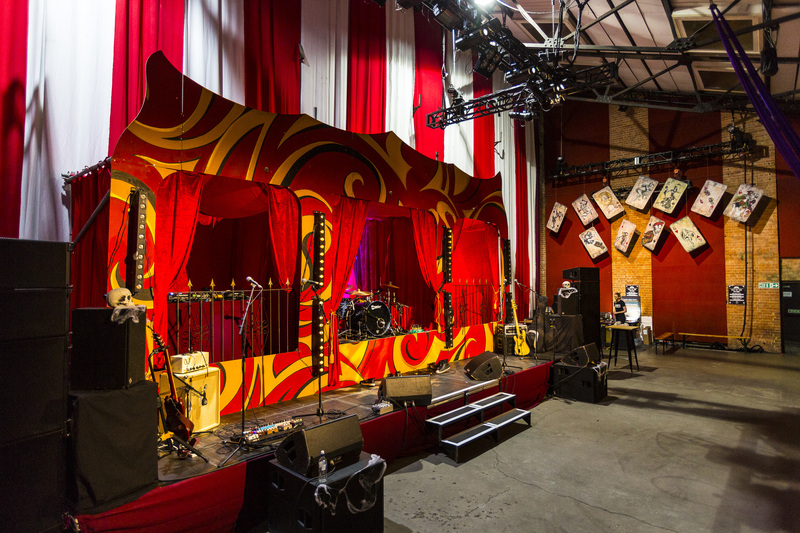 We transformed the main stage into a faux circus tent with deep red and yellow colours against a huge floor to ceiling curtain of the classic red and white circus colours, providing the illusion of being in the “big top”. We then went on to scatter classic oriental-style umbrellas across the ceilings of various spaces. There was even a giant crescent moon installation for those shareable photo opportunities and to greet guests on arrival! 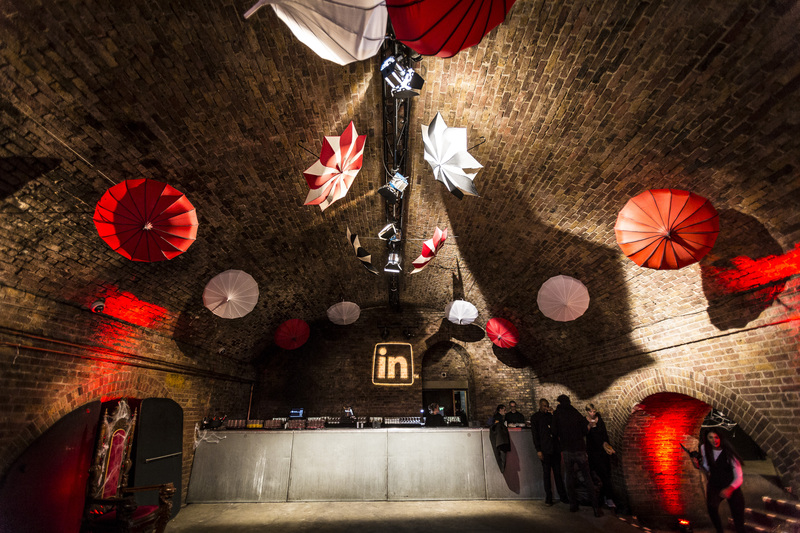 Pulling it all together were spotlights and LinkedIn logo projections, which created a truly show-stopping ambience. To build momentum and increase engagement, our guests were sent special “scare packages” containing a plethora of spooky treats, to prepare them for the big bash. Then it was onto the entertainment. 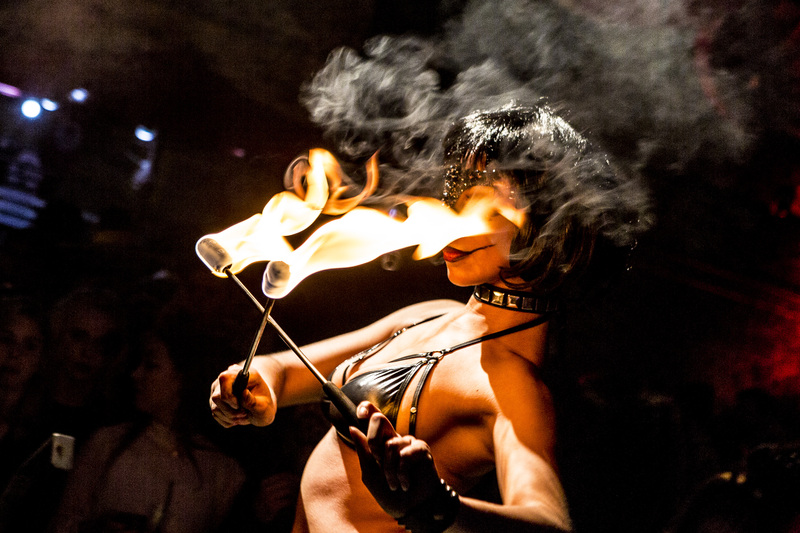 There were all manner of live acts including stilt walkers, aerialists, fire breathers, jugglers, stilt walkers, unicyclists, a live rock band… and two crazy comperes – it was quite the show by all accounts! The crowd were mesmerised at every opportunity. 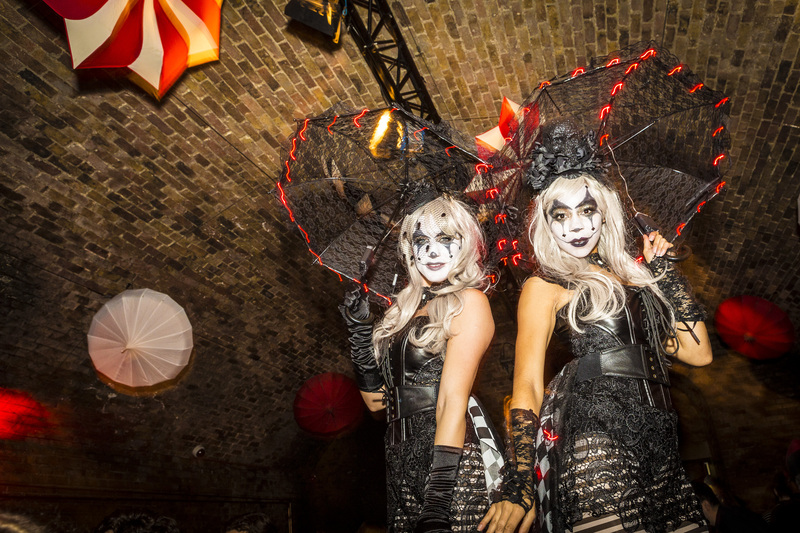 With over 550 guests turning up and a queue of people down the street who weren’t budging until they had seen what all the fuss was about – the event certainly exceeded expectations and achieved its goal of providing LinkedIn with the status of the Halloween party of the year.